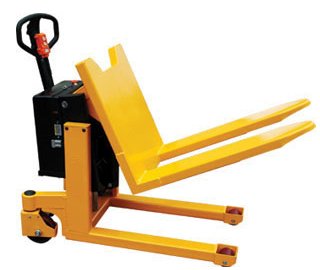 Can be used as a power pallet truck, pallet tilter/reverser and trun table. 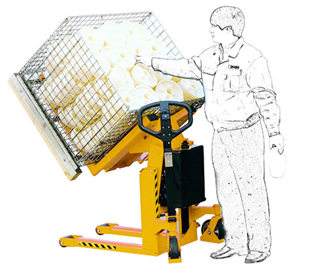 When it tilts up, it serves as a work table to blow and dry paper in vertical. Specially designed for carrying, rotating printing paper and other materials.